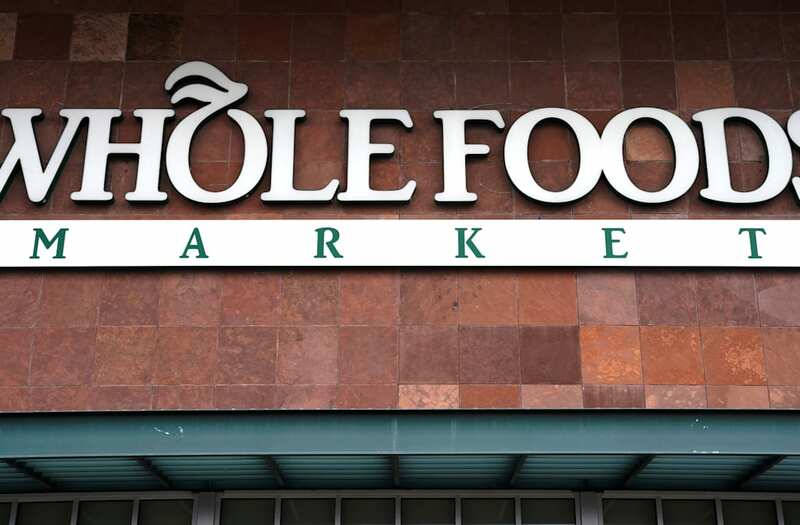 Whole Foods is making much less money since Amazon bought it and slashed prices across the board, but the online shopping giant doesn't really care. Amazon revealed in an earnings call on Thursday that the supermarket chain made around two thirds less profit in the month since the acquisition than the same period last year (part of the difference can be attributed to accounting considerations). That didn't stop Amazon from reporting a killer quarter overall, sending its stock soaring in after-hours trading. Whole Foods' $1.3 billion contribution to Amazon's revenue is a relative blip in its record $44 billion total haul this quarter. But the value of Whole Foods to Amazon has always been about much more than its grocery sales. To Amazon, Whole Foods is a network of distribution centers, a marketing floor for its gadgets, a promotional tool to boost Prime membership, and a stable of established private-label brand names to add to its burgeoning collection. Amazon execs hinted at some of the company's big plans for the chain in the earnings call. "There will be a lot of work together between Prime Now, Amazon Fresh, Whole Foods, Whole Foods products on the Amazon site, and Amazon lockers at the Whole Foods stores," Amazon chief financial officer Brian Olsavsky told investors and analysts. "There will be a lot of integration, a lot of touch points, and a lot of working together as we go forward." Amazon is famous for its long-term thinking, often at the expense of turning an immediate profit, so its approach here is not out of character. The company's various ventures now encompass almost every single consumer market, and CEO Jeff Bezos is an expert at linking these sometimes disparate threads in such a way that they build on one another toward a longer term goal. Thursday's report marks Amazon's 10th straight profitable quarter and its biggest sales to date, a fact that went mostly unmentioned in its presentation. Amazon's money-minting cloud business continues to cushion profits, despite slowing growth. Its expansion efforts overseas are paying off in the form of big retail growth. Its advertising operation, a relative afterthought in the context of its entire balance sheet, grew sales by an estimated 58 percent to around five times Snapchat's entire revenue. Despite constant doubts from high-profile investors about the longevity of Amazon's reign, the company remains pretty much unstoppable. And that's why it can afford to sell you cheap avocados.